Looks good, though I think the ears are tilted to far back - I guess ears can be like that, but it looks strange, the join between ear and skull is usually closer to vertical, you’ve got what looks like a 45 degree angle. 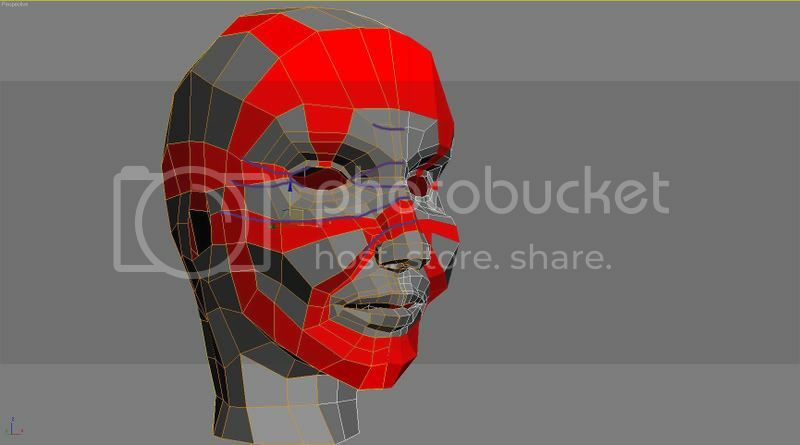 Can’t tell if the topology is good - suspect that it is though. I also feel the mouth might be to wide. 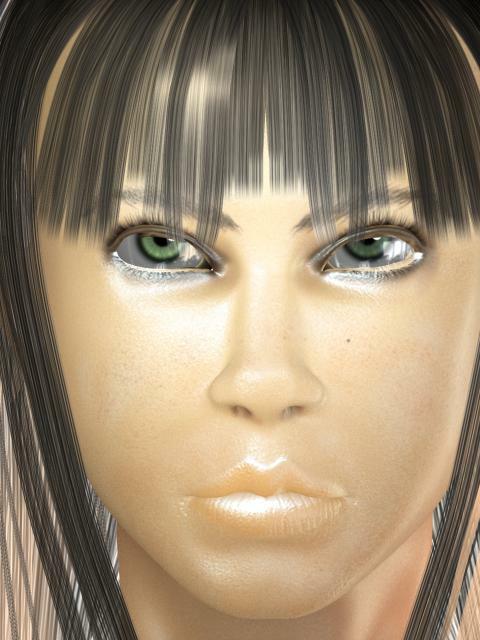 I think that sharp edges is the effect of the occlusion map or the texture itself, kinda hard to texture the ear. I’ll work on it and let you know. but as this is a modeling thread I am not going to post it here. another test… is it better?? can you show a wire? now i m deciding should i buy it or not? is it good for beginner-modeler and is it good at all? Looks fan-freakin-tastic :bounce:. The one previous to the last looks somewhat younger than the latest. Both look awesome though. Really nice. Could we see the wires? I’m sure they’d be educational. Wicked styalized head. You might want to bring the edge flows that are going through the cheek and ending on the ear up so that one of them flows over the ear. Otherwise looks good. Also I’ve not purchaced any gnomon stuff. Not really sure why, since everything I’ve heard about their tut’s is amazing. The head one I’m sure is excellent! Thanks McGee!! So, here is the wire… that’s the same topology used by the most of the guys out there… I hope it can help! so here is a new mesh (tried to use reference this time) its currently not finished what you guys think? am i moving in right direction? An excellent start fabis. However, I think you’ve got to much detail (ie to many edges loops) forming the nose which is why the nose looks so solid from the front. The wires would really help for a solid critique. Additionally, the brow ridge protrudes quite a bit between the eyes, try softening it up. If you look at many of the noses on this thread you’ll see that most noses are made up of no more than 4 loops in general in the base wire. It does all depend on the model it self but always always in the base mesh go aim low as low as possible while still hitting the base details - the fewer the edges the eaiser it is to work with when modeling and to some extent when creating the basic animations. Hi First post here for me. I tried to do some tests on edge looping yesterday. It started with just some flat planes around the eyes and mouth, just to get the general feel for it. I never intended to make any model out of it, but as I messed around with it, I suddenly realised I had made a head. Not a very good one, but still a decent base for improvement. Today I worked some more on it, fixing some loops and trying to make it more real looking. The nose was a pain, but I think it’s decent atm. The entire mesh should consist only of quads. What I’m most interested in is comments about the looping though (the reason why I did this test), does it look okay? Areas to be improved? In the end, I want to get rid of all unnecessary edges while still adding more detail. As it is now, it consist of 684 polys. I want it to be much higher detail than it is now, but I don’t want to move on to that part until I’ve done more work on this base. I’ve linked 3 images, one render, one screenshot subdivided but isolined display, and one screenshot without subdividing but marking the key edgeloops I’m using. Here’s is a quick overdraw that might help. Basically try to keep the edge flows smooth and not drastically changing direction. I’ve tweaked some more on the model, and started to add an eye as well. I found out they were placed too much “inside” the head yesterday. Kifros: I’d smooth those cheeks out - they’re really buldgy. While you might want them buldgy cheeks in a static pose, the way they are now will cause all kinds of headaches when attempting to animate. I forgot to mention this last time but it’s usually best to model a neutral pose then in any kind of activity based pose. If you look at the overdraw I did, especially the upper cheek edge flow it dipps into the nose quite abit which is what’s producing that sharp edge in the smoothed version. Remember that in the low poly version you should aim to create the hints of detail that can be brought out in the higher res version. The low poly should not small creases and folds of a face or body, low poly just doesn’t have the res to do that. Ah, yeah I get it I’ve been adding details in the low-poly-stage that really should not come until the high-poly-stage. Bad planning, or - no planning. As I said, I hadn’t thought this model through in any way - it just started to happen as I tried some edgeloops, and I wanted to see how far I could get just by following nothing really. But - I’ll try to post a better model tomorrow, go back a few steps before moving on to the next stage. Thanks for feedback, appreciate it.